Small protest gathers at City Hall on Monday. 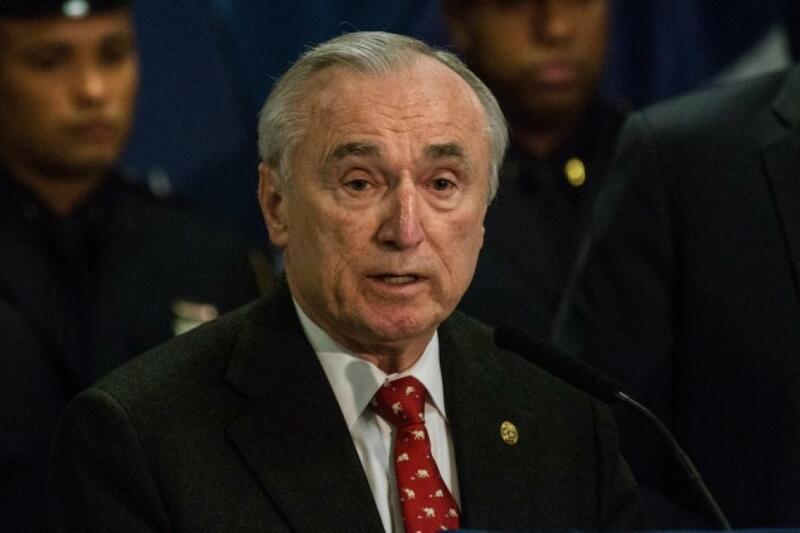 A group of demonstrators is calling for the resignation of New York City Police Commissioner William Bratton. The group, known as "New Yorkers Against Bratton," held a small protest Monday outside City Hall. Protesters said Bratton needs to be fired after the death of a Staten Island man in police custody. The NYPD did not immediately respond to a comment request. Eric Garner died Thursday after he was arrested for selling loose cigarettes. A video of the incident appears to show a police officer place Garner in a chokehold. Garner, an asthmatic, can be heard saying "I can't breathe." The chokehold is banned by the NYPD. The medical examiner has not determined a cause of death. Two police officers and four emergency workers have been reassigned.